Developers today often have to juggle multiple projects but in some cases entirely different programming languages. This can become even more of an issue when one considers a number of times a developer has to create a new workspace to test, debug, or start working on a new project. 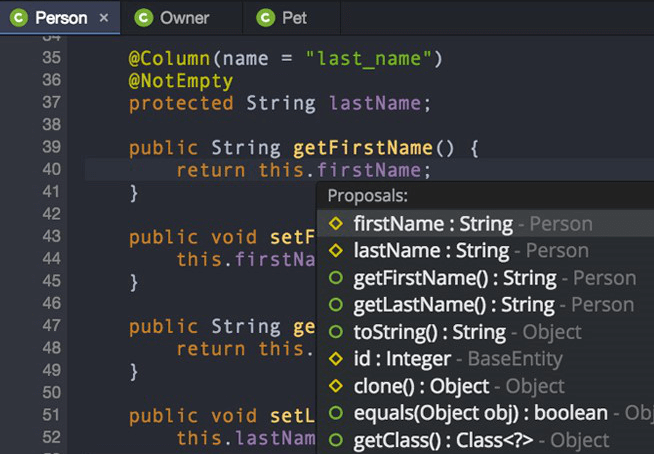 Codenvy has harnessed the power of open source tool Eclipse Che to help solve this pain point for developers. Codenvy chief operating officer Brad Micklea recently sat down with The New Stack founder Alex Williams to showcase some of Che’s features in a short tutorial. Throughout the tutorial, Micklea creates a new project in Codenvy, debugs a failed build, sets up shareable workflows, and shows how Codenvy helps developers keep their code secure. The next key feature of Codenvy is how workspaces are managed. Micklea noted that all of Codenvy’s workspaces are controlled over the network, or by the cloud. This approach provides some benefits, including security and flexibility. “Typically, IT is struggling to find a way to secure laptops. In a Codenvy hosted environment, IP never leaves the central hosted system. It’s more secure. Secondly, it’s more collaborative. Workspaces, once containerized, can be easily replicated and shared,” Micklea said. From the Codenvy dashboard, users are able to select an Eclipse Che project via Workspace tiles, which then request a JSON file tailored to that particular project. After creating a Docker container, Codenvy injects its agent so that it can control the lifecycle of the container in question, so developers don’t have to juggle starting or stopping it. Codenvy on-demand developer workspaces accelerates time-to-market by making software development continuous. Codenvy improves agile software development by automating bootstrapping, securing workspaces, and modernizing legacy workflow. Next, a browser-based IDE based on Eclipse Che is pushed to the user’s browser. Developers can not only preview their code but the application itself from within their Codenvy workspace. They have access to git commands, code-assisting tools such as syntax highlighting and text completion, and a terminal which allows for root access inside their container. Micklea then walked through setting up a new Factory, which is what Codenvy has dubbed its Docker container URLs. By quickly navigating into the Factory section of the Codenvy dash, users can choose a workspace they want to turn into a Factory to share with others and configure the stack and commands to their specifications. Anyone that accesses the Factory URL will be provided their isolated Docker container with a replica of the Factory workspace, which Micklea mentioned is ideal for doing code review or interviewing new developer candidates. “We’re about to release an update to give Codenvy dual cursor support so you can do pair programming remotely,” Micklea said. Another area Codenvy shines in is its features for those interested in quality-of-life improvement when debugging their containers. Micklea then explained that developers could drop their Codenvy URLs into JIRA issues with ease. Codenvy workspaces offer DevOps team members a quicker way to resolve issues, which Micklea then showcased by displaying a failed CI test. “We can respond to a webhook in the CI, then query it to say what project, branch, commit ID, and build did an issue occur at? Then, we create a tailored diagnostic workspace that is already synced to the point the build broke,” Micklea explained. Codenvy is a sponsor of The New Stack.